Dixie-Escalante Rural Electric Association, Inc. The Purchasers and their respective entitlement shares of Project generation capability, as provided for in the Power Sales Contracts, are shown in the following table. Generation Entitlement is based upon a net rating of 900 MW each for Unit 1 and for Unit 2, a total of 1800 MW, and giving effect to the Excess Power Sales Agreement among certain of the Participants. Each of the Utah Municipal Purchasers provides electric utility service principally to customers within its municipal boundaries. The Cooperative Purchasers serve customers in rural areas in parts of Utah, Nevada, Colorado, Wyoming and Arizona. All Purchasers have executed Power Sales Contracts with IPA that provide the basic security for the debt service on all bonds issued by IPA for construction and acquisition of the Project, exclusive of the STS. Additionally, the Purchasers have agreed to pay all Project costs of Operation and Maintenance for Project facilities. The Power Sales Contracts expire on June 15, 2027. The Power Sales Contracts also allow for the California Purchasers, or an entity on their behalf, to make payments-in-aid of construction for the STS. To effect this arrangement, the California Purchasers entered into an agreement for the acquisition of capacity by which each California Purchaser assigned its rights in the STS to SCPPA and SCPPA agreed with IPA to make payments-in-aid of construction to IPA on behalf of the California Purchasers. Through this mechanism the California Purchasers have financed their interest in the STS through SCPPA. The Utah Municipal and Cooperative Purchasers and ICPA have each entered into the Excess Power Sales Agreement with the Department, Burbank, Glendale and Pasadena (“Excess Power Purchasers”). 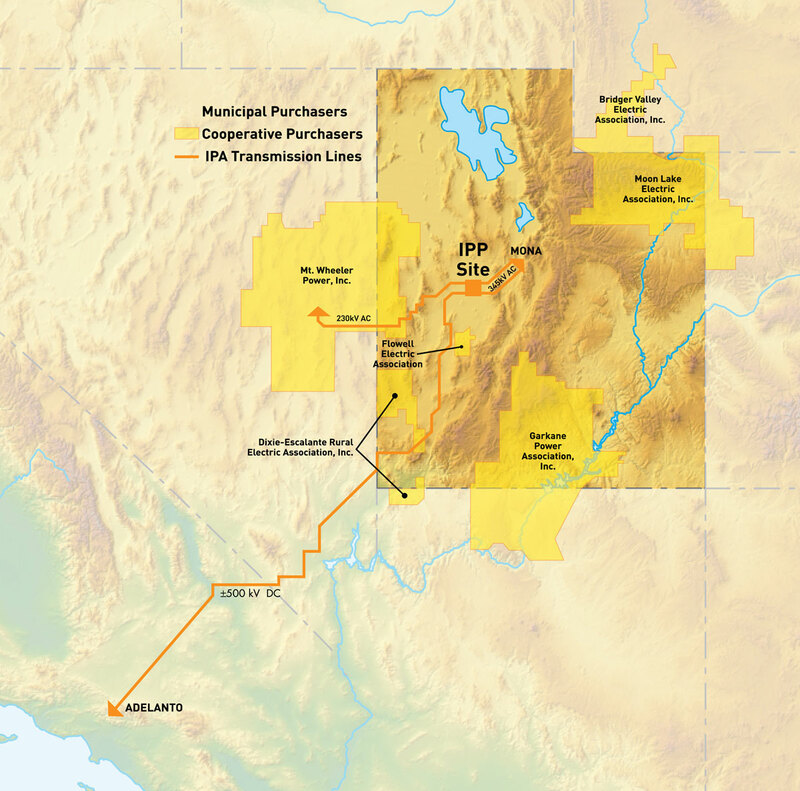 This agreement provides that capacity and energy available to the Utah Municipal and Cooperative Purchasers pursuant to their respective Power Sales Contracts, as amended, shall be sold to the Excess Power Purchasers unless and until the Utah Municipal or Cooperative Purchasers recall such capacity and energy, in whole or in part.